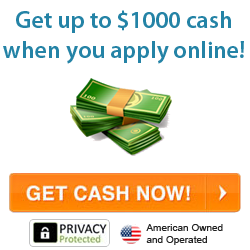 Payday loan companies have been blossoming all over the world, promising fantastic loans for fair rates. However, many people have become unwitting victims to these virtual scams, and it has cost them countless sleepless nights due to enormous debt generated. These loans are not traditional ones, and there are serious consequences involved with making these types of financial arrangements. There are 6 reasons not to get a payday loan and they should be taken seriously. The their interest rates can be very high, and it is important to read the fine print and ask for payment charts that will show you how much you will actually be paying. If they are not paid off fast, most times in a matter of a couple of weeks, then the interest and fees which accrue can be devastating for those who struggle with their finances. Paying them off early is the only way to avoid these fees, and sometimes people borrow too much in the beginning, setting themselves up for a big fall down the road. The second reason is that sometimes these companies will not be upfront with their terms. While they may list them in the fine print, not that many people pay attention to the details, which can lead to costly and unexpected expenses that can also be burdensome down the road. Paying attention to every letter in the agreement before signing anything can protect you in ways that are important down the line. Third, since these companies are in business to make money, they often use tactics to get people to sign for loans they don't need or want. Watch out for things like guaranteed approval, easy terms, money today and other phrases that are incentives to get sucked into these crooked agreements. There are many good companies out there, but it is hard to tell the difference, and making one bad mistake can lead to financial stress. 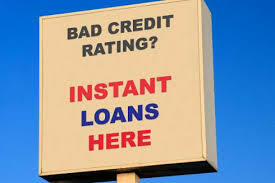 The next reason to avoid getting a payday loan is that if you fall into further debt or lose your job, you can find yourself under a mountain of debt that is virtually impossible to get out from under. Countless people have lost their homes and cars due to their inability to pay off these loans in a timely manner. It only takes one or two late payments, and the fees and interest can roll over into huge amounts that make it nearly impossible to pay off and get away from. Also, because they offer the impression that you can get money now, you have to pay it back next payday. Many people will borrow more than they can afford to pay back later, which leaves them in perpetual debt because they don't see a whole paycheck for a long time. This means for taking out a loan for a couple hundred dollars now can mean that they will skim your check for a long time until that balance is paid off. 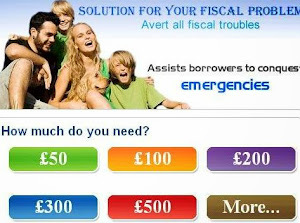 Finally, it is just poor financial management to take out a payday loan. Ask a friend or family member for some money until payday and you will appreciate the lack of fees that you will get from these arrangements. These 6 reasons not to get a payday loan can hopefully save you money and help you to avoid making a serious financial mistake.